Sneak Peek: Be Strong. Be Happy. Be You. 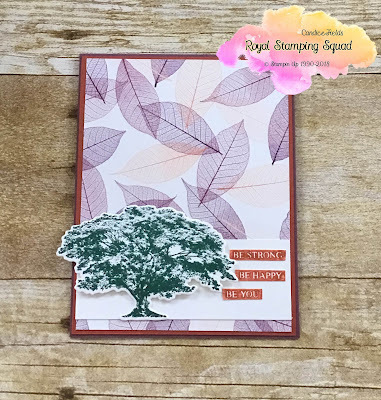 Today's card is a sneak peek of one of my favorite new sets from the upcoming catalog - Rooted in Nature bundle. I kept the card simple. Please visit my Gallery for tutorial on how to make this card.